Spring has come and gone, it seems. We had lovely spring-like temps and rain and then suddenly the furnace was turned on around here and we’ve been hitting 85+ degrees. And, of course, our air conditioner broke. Trying to suffer through the heat with a baby is not fun at all. 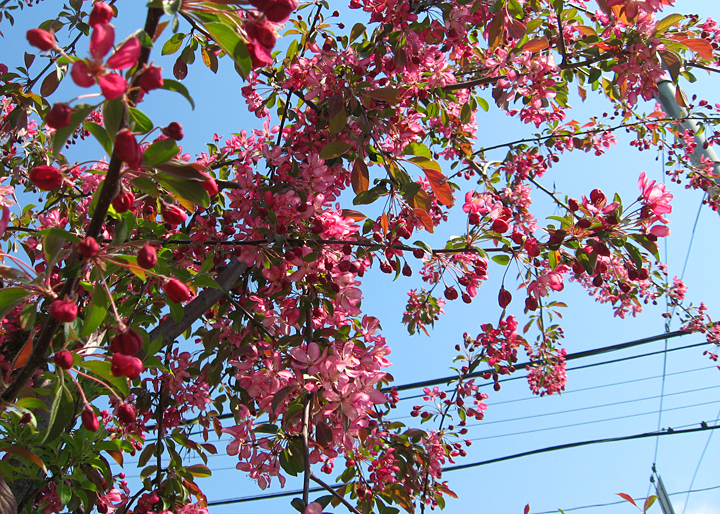 I managed to capture the glory of our weeping crab apple tree at peak, which I rarely remember to do until it’s too late. The blooms lasted all of a few days before all the petals blew off in the wind, and now we’re back to just a plain ol’ tree. But for those few days it was the most beautiful thing in our yard. 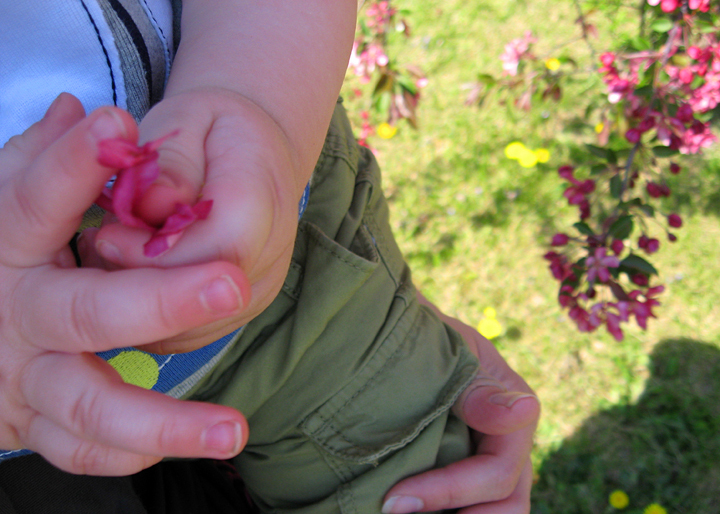 I need to remember to look for flowering things that will stagger our garden blooms. It’s sad to watch something fade and not have anything left to replace it. 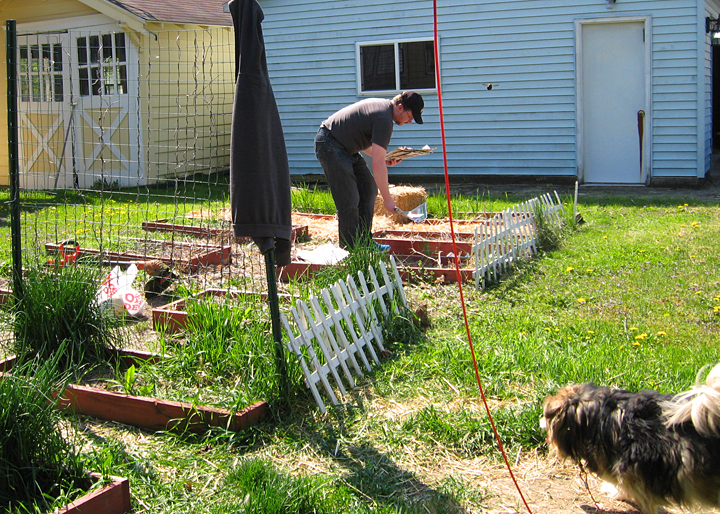 The husband started cleaning up the garden in preparation for planting. 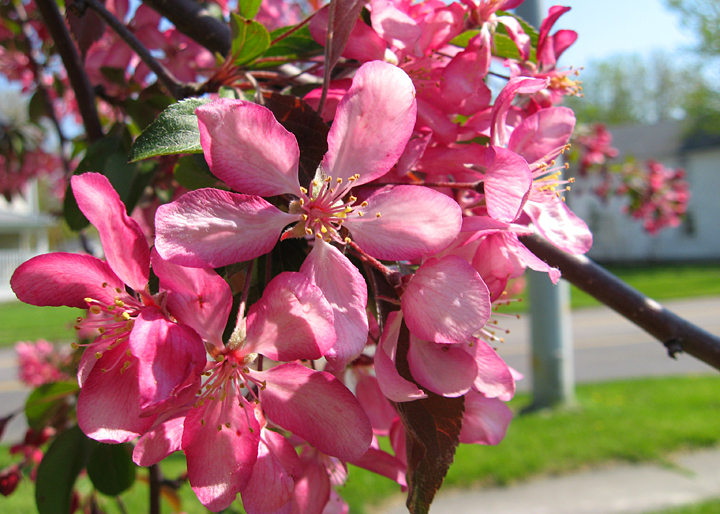 We haven’t yet planted it – that was supposed to be today but it’s just too darn hot. Maybe tomorrow I’ll pop the tomatoes in the ground before it rains. 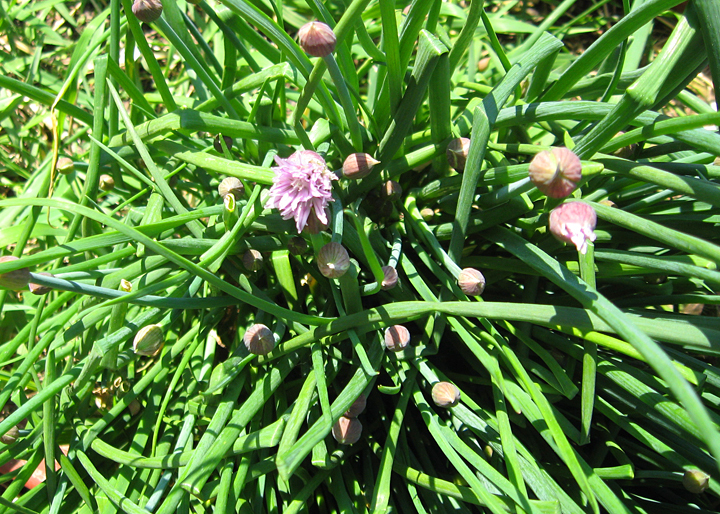 The chives are blooming and going to waste – I didn’t realize they’d come back year to year until last year or so, and now that I know that I just haven’t really made the time to find out what to do with them to preserve and then use them. It doesn’t make sense to dry them or anything if we’re not going to use them. I might just have to rip them out and gift them to someone else. We certainly don’t need 4 patches of them. Or I suppose I could just move them and mix them into the landscape elsewhere. Kind of mix and match edibles with non-edibles. My rhubarb apparently hung on from last year. 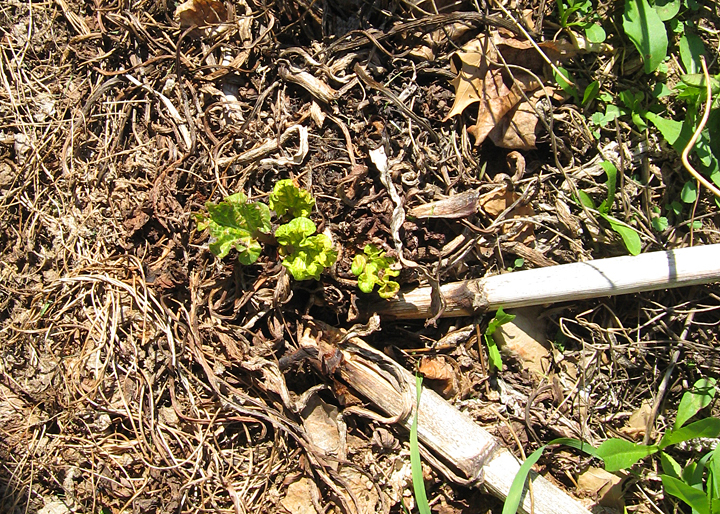 I’m not sure how, and it’s severely behind on growth – it shouldn’t be that tiny in May. But it’s there. I need to make a better effort to keep those stupid morning glory vines from choking it out. I think my clematis is dead-dead. There’s no growth on it, either. I’m not sure if it’s the harsh winter that did it or the fact that I kept forgetting to water it. So it looks like I’ll be buying more of that to re-plant this year. I really do want this lovely trellis of vines growing up the side of the patio, that way I don’t have to look at the neighbor’s house when I hang out back there. I don’t mind living in the city, but I’m not the biggest fan of how close we are to the neighbors. Nor am I thrilled by the fact that our yard is impossible to fence in. It is what it is, though, and I still love my house despite the faults. I just have to be a bit more creative with the landscaping to make it the cozy back yard I want it to be.